How high are realtors' and lawyers' fees in New Zealand? What about other property purchase costs? How difficult is the property purchase process in New Zealand? 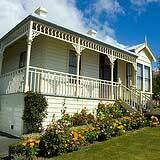 Nonresidents are allowed to buy a house in New Zealand. It should be noted, however, that the purchase of property does not give the buyer any right to live permanently in New Zealand. If the investment involves less than NZD10 million (US$6,666,667), no official clearance is needed; otherwise, authorization from the Overseas Investment Office is required if a non-resident wants to acquire sensitive areas such as agricultural land exceeding 5 hectares in area, or exceeding NZD 10 million (US$6,666,667) in value. Authorization is also needed for the acquisition of islands, or land containing or adjoining reserves or heritage areas, and foreshores or lakes in excess of 0.4 hectares. The seller must obtain a Land Information Memorandum (LIM) from the local authorities, which provides information on the legality of the building to be acquired such as special land features, stormwater and sewerage, rates owing on the land, future plans to the area where the property is found such as zoning plans, and use of the land. Securing a LIM may take as much as 10 days. The seller must register the title through Land Information New Zealand. The seller has two options: submit the title online (with the conveyancer/lawyer acting as the registrar), or through manual registration by submitting the title and needed documentation one of the Land Titles Office. The conveyancer must then double-check all the documents before registering. Documentation includes personal identification for both parties, written authority for the conveyancer to register the property, and the signed transfer of property. Registration fee is NZD80 (US$53) for every transfer of property. Conveyancer fee is NZD1,500 (US$1,000) for every transfer of property. The real estate agent's commission is negotiable, ranging from 3.5% to 4%, plus 15% GST of purchase price. It is typically paid by the seller. How landlord-friendly is the law in New Zealand? My company is interested in purchasing up to 100 rental properties in the Auckland region. These would be preferably in the lower end of the market. Any advice from readers?? House prices: Can commuting times raise or drag prices down?